When Fujifilm announced the release of the X-T10, a compact and low-cost version of its instant classic X-T1, photographers had reason for skepticism. The X-T1, released last year, quickly became a favourite in its class because of its retro-modern body, quality images, and high-resolution viewfinder. It was fair to wonder if those features would be lost in the little sibling. But with the X-T10, Fujifilm manages to preserve many of the X-T1’s benefits and give the X-T10 several advantages over other cameras in its class. 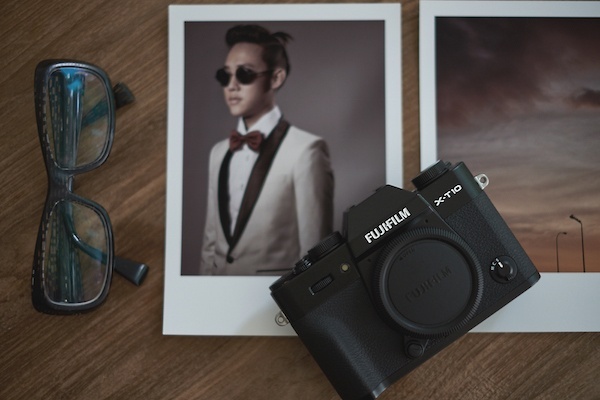 Pick up the Fujifilm X-T10 and the first advantage you notice is its portability. The X-T10 weighs just 381g with measures of 118.4 x 82.8 x 40.8mm. (For reference, the X-T1 weighs 440g with dimensions of 129 x 90 x 47mm.) The X-T10’s size makes it convenient to stash in a kit bag and toss over the shoulder. Despite its nimble size, the X-T10 has the advantage of seven customisable buttons that allow photographers to place and adjust ISO, auto focus and other settings. With other Fujifilm cameras, photographers who want to shoot in auto mode must switch both the aperture and shutter dials to an auto setting. The X-T10 has the advantage of an auto-mode lever that supersedes other controls. The X-T10 also has the advantage of robust settings for auto focus shooters. Single auto focus mode (AF-S) includes three options to position the focus point: single, zone and wide. These options allow photographers more control regarding focus point’s size. Continuous auto focus mode (C-AF) also has single, zone and wide-tracking options. C-AF mode tracks the focus subject as it moves around the frame and adjusts its focus distance as the subject moves. Unlike the X-T1, the X-T10 features a built-in pop-up flash with a 5m range at ISO 100 and X sync speed of 1/180s to provide the advantage of basic fill lighting. The X-T10 also has a hot shoe for external flashes, so photographers can use the X-T10’s commander mode to trigger remote flashes. Photographers can purchase the X-T10 for several hundred dollars less than the X-T1, which has the advantages of a weather-resistant body and larger electronic viewfinder. Reviews have praised the X-T10’s cost, stating it has great value for a camera and boasts a similar shooting experience as its predecessor, the X-T1 and is just as much fun to use. To sweeten the bargain, Fujifilm recently started a campaign to offer $100 cash back on both the X-T10 and X-T1 and $200 cash back for an XF lens. Top retailers will soon offer deals on the X-T10 packaged with the XF18-135mm and XF27mm lenses, with $500 cash back on offer for this kit.